PP Socket Fusion Pipe Stubend Flange Adapter is used to connect flanged fittings to plain end of pipes. The name of our company surfaces prominently among the trusted Manufacturers and Suppliers of PP Socket Fusion Pipe Stubend Flange Adapter. 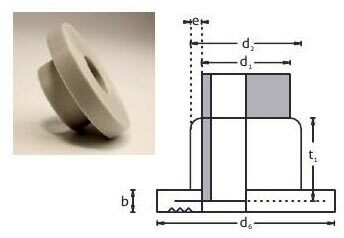 We make available PP Socket Fusion Pipe Stubend Flange Adapter in different diameters. We have the capability to deliver retail as well as bulk orders for PP Socket Fusion Pipe Stubend Flange Adapter within the committed time frame.